These days, there is an abundance of freelance work to be found online. People from every background, with just about any skill set you can think of, are turning to the internet now to make money while doing what they like or love. Having a freelance business online is appealing to people because of the many benefits that come with it; not having to wake up early every morning, being able to work at your own pace so long as deadlines are met, the ability to choose jobs and tasks that you know you’ll actually like, and more flexibility to do things like spending time with the family. Yes, it definitely has its perks. Unfortunately, many people can be leery of getting started in the freelancing industry because they may not know how things work when it comes to getting paid. There are several available options. If you decide that you want to start freelancing through a reputable big name online freelancing service, many of them offer traditional payment methods as well as the more modern payment methods. Many of the most popular services still have the option to receive payment by check, as well as having the more modern form of receiving your earnings through e-payment. If you want to see money in your pocket faster, you should be using e-payment for your freelance business, and for many reasons. 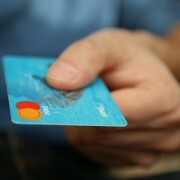 E-payments come with a lot of convenience, and a good sense of security. Many e-payment methods, such as PayPal, are set up in a way that protects any of your personal information from getting into the wrong hands. You don’t have to worry that any clients could be potential scammers who are out to steal your information. Another reason that you should be using e-payments is because of how much quicker you can get paid than if you were waiting on a check to show up in the mail. The average time for a check to be received through online freelancing jobs can be as long as 4-6 weeks; depending on where your client is located (for example, halfway across the world), it could be even longer. With e-payments? You can get them in as little as 1-3 DAYS!! It doesn’t matter where in the world your client is located, you can really get paid that quickly when using e-payments. Sending and receiving payments is done with a few clicks, and you’re on your way to getting paid! If you’re going to be in the freelance business, don’t settle for having to wait weeks at a time to get paid for your work. Make sure you’re using e-payment methods so that you can get paid quickly for your hard work!